Our Bioinformatics research collection offers relevant information at global as well as country-level to help clients address bottom-line issues. We cover vast information on various Bioinformatics segments, including Bio IT, Analysis Software & Services Market, and Content Market, and Bioinformatics applications, like Proteomics, Pharmacogenomics, Genomics, and Drug Discovery & Cheminformatics. Our fine team of research analysts, with wide knowledge of industry issues, conducts in-depth research on the past and current trends in the bioinformatics market to identify the shape it will take. 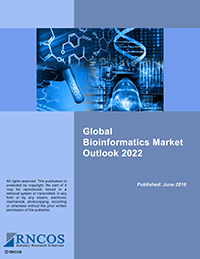 We support clients in strategize about and anticipate future scenario in global bioinformatics market, and realize desired results.